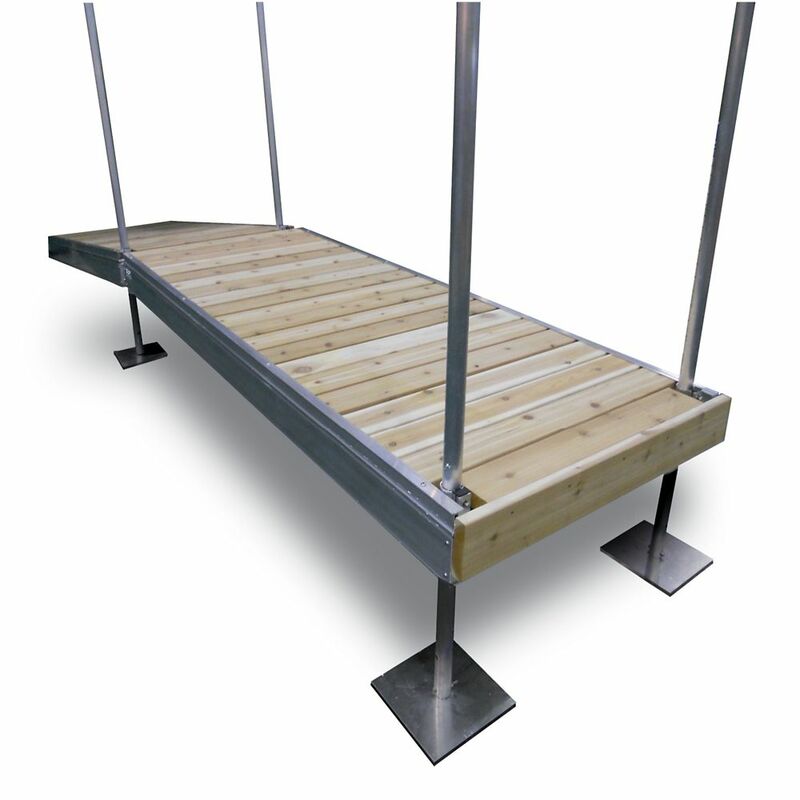 The 10' long x 4' wide floating dock frame is used as an access ramp onto a floating dock. It is usually hinged to the floating dock to allow for movement, and can also be hinged to a permanent structure on shore if available. Hinges sold separately. Build it yourself and save! This kit includes all the brackets and hardware needed to build one 4 ft. x 10 ft. wood dock frame. Heavy-duty, hot dipped galvanized components securely tie the 2-inch x 6-inch wood frame together. You can use this kit to build stationary, roll-in or floating dock sections. 10Feet x 4Feet Frame Dock The Frame docks have a solid 5.5" aluminum frame which bolts together. Each 10' section comes with 2-5' leg assemblies, and connectors to join on another section. One section supports the next section (a minimum of two sections required to start, or additional leg assemblies are needed).